Spirulina is 65 - 71 percent complete protein compared to beef, which is only 22 percent, and lentils, which is only 26 percent. In addition to being protein-rich, spirulina is an excellent source of vital amino acids and minerals easily assimilated by your body. You would need to consume only two tablespoons of spirulina as a protein substitute for a meal. Protein Content: Seeds, 6 g per ounce; Milk, 2 g per cup If you're allergic to soy, or just freaked out by its estrogenic activity, hemp products are your next best bet. Sold as a dairy alternative or as seeds, hemp is one of very few plant proteins that supply you with all the essential amino acids, acids your body can't produce on its own to build muscle and create more protein. Protein Content: 4 g per ounce Though the protein content isn't as high as some other vegetarian foods out there, chia seeds pack a huge nutritional punch. For starters, they're an incredible fiber resource with nearly half (11 g) of the amount you need every day in a single ounce. That helps fill you up and eat fewer calories. They also contain 18 percent of your daily calcium requirement, more than triple that of milk, which helps your bones. Protein Content: 1 cup of cooked quinoa (185 g) contains 8.14 grams of protein. Quinoa is perhaps one of the most perfect non-animal sources of protein on the planet. It is also a wonderful option for those that follow a gluten free diet, since it is completely gluten free. Protein Content: A firmer, chewier cousin of tofu, a half-cup serving of this soybean-based bite has 15 grams of protein. It’s healthy and a much better bet than heavily processed tofu or “mock meats” that are brimming with poor-quality modified proteins, sodium, chemicals and starchy fillers. In my opinion it doesn’t compare nutritionally or in taste to a juicy steak but as vegetarian options go it ain’t half bad. Protein Content: (between 6 and 8 grams, per handful). When adding a handful of nuts to your salad for protein, go with almonds. Almond butter is less toxic and allergenic than peanut butter, although the protein amounts are similar by comparison. Still, this is about quality protein, not necessarily the amount. Yep, good old greens will pack a protein punch. One cup of cooked spinach has about 7 grams of protein. The same serving of French beans has about 13 grams. Two cups of cooked kale? 5 grams. 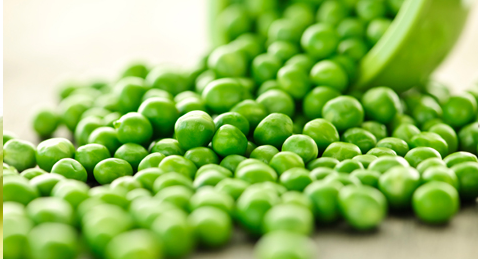 One cup of boiled peas? Nine grams. A cup of iron-rich lentils packs 18 grams of protein, almost as much as three ounces of steak. One cup of chickpeas, contains 15 grams of protein, as does a cup of black or kidney beans. Greek yogurt contains the same protein as a three-ounce serving of lean meat. Top that with a handful of nuts and you could get half of your daily protein intake at breakfast. Protein Content: 6 g per egg There's a reason the incredible, edible egg is such a popular breakfast choice. The protein in eggs has the highest biological value, a measure of how well it supports your body's protein needs, of any food, including beef. And the yolks contain vitamin B12, deficiencies of which are common in vegetarian diets and can cause attention, mood, and thinking problems while raising blood homocysteine levels, a risk factor for heart disease, dementia, and Alzheimer's.